The Hunger Games movies have proved twice that an action movie with a female lead can be a box office hit. I’m sure the next movie in the franchise will prove it all over again. I’ve been a Hunger Games fan since reading the books, and I think the movies have done a great job capturing them. If you haven’t read the books, brace yourself for Mockingjay Part 1, because there will be even more heartbreak for Katniss and hardships for Panem citizens as the revolution begins. The best thing about this movie will probably be Natalie Dormer as Cressida, another Panem rebel. Dormer is an incredible actress, and I can’t wait to see her join the Hunger Games universe. If you haven’t fallen in love with her as Margery on Game of Thrones or Irene Adler on Elementary, you’re seriously missing out. I’m still a little confused by the trailer, but I have faith that it will be another incredible movie from Nolan. This film also stars Anne Hathaway (who’s still rocking the short hair). Besides being a Nolan fan, I have made it my goal to see every movie Anne Hathaway is ever in, so I’ll definitely be seeing this fall movie. Beyond the Lights is an upcoming romantic drama directed and written by Gina Prince-Bythewood that, surprisingly (and refreshingly) enough, doesn’t star two white people. 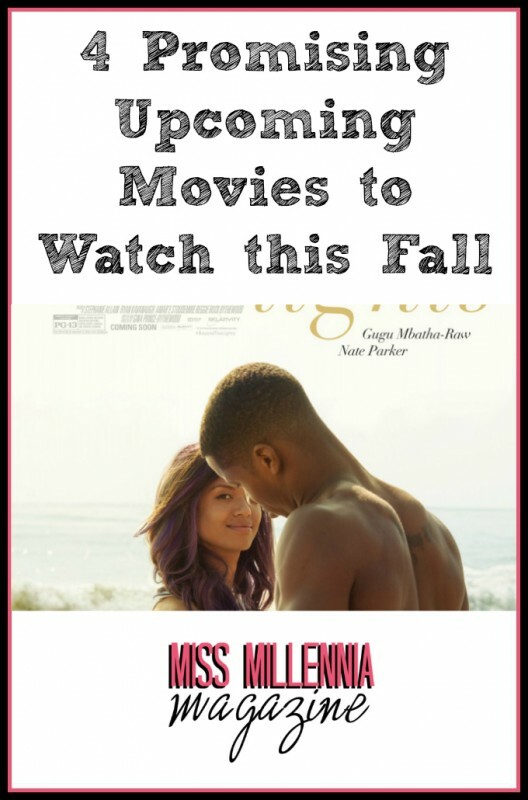 Gugu Mbatha-Raw, of recent Belle fame, plays Noni, a young musician struggling with the pressures of success. Nate Parker plays opposite her as a cop who saves her from an attempted suicide. While I tend not to go for such romantic movies, this one has a great cast and what looks like an interesting story. It also has a black female writer and director, so if you want to show Hollywood that America is ready for more movies written and directed by women, you’ve got to put your money where your mouth is and go see this movie. I’ve seen Horrible Bosses at least three times, and I’ll probably end up watching it again before its sequel comes out. This movie features much of the same cast, with Jason Sudeikis, Jason Bateman, and Charlie Day returning as average-Joes this time trying to pull off a kidnapping. Jennifer Aniston, Kevin Spacey, and Jamie Foxx are returning as well. Horrible Bosses 2 also has new cast-members Chris Pine (and his baby blues) and Christoph Waltz (and his Oscars) to look forward to. While the sequel has different writers and directors than the original, the trailer had me laughing aloud and I think we can have faith in the great cast to make this movie just as hilarious as the first. If you’ve been cooped up in the house studying, but don’t want to brave the elements, head to a nearby movie theater. These movies will be out soon, so in the meantime keep an eye out for the movie reviews on Miss Millennia!